Little Free Library is an international nonprofit organization that encourages the exchange of books by placing mini-libraries throughout communities. The typically wooden library structures are filled by their stewards with books that community members can take at no cost and replace when they are finished. There are currently close to 70,000 Little Free Libraries located in the United States and in over 70 countries. 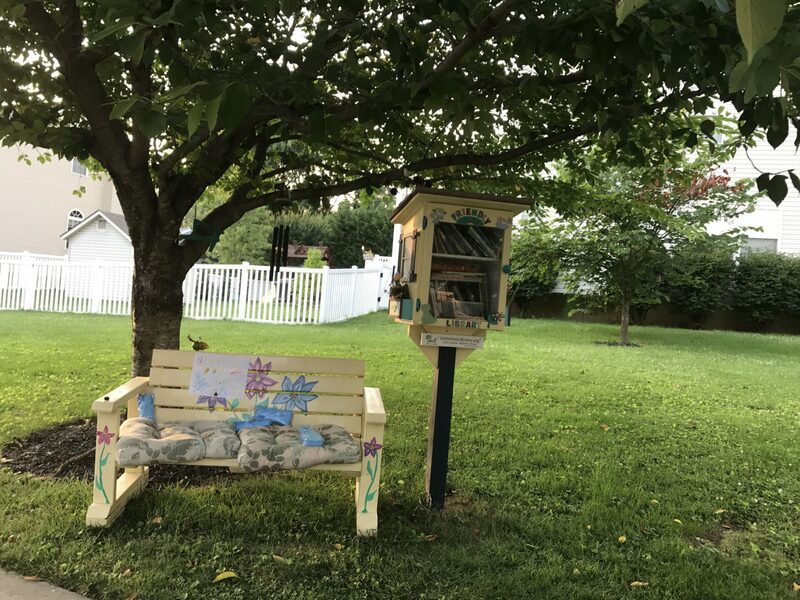 In order to honor the literary arts, the Town of Bel Air Cultural Arts Commission voted last fall to add a Little Free Library to Plumtree Park on Thomas Street so that a variety of books would be available and easily accessible to the town’s residents who frequent the park and walk along Thomas Street. The Commission currently plans to focus mostly on providing children’s books at the site but will monitor the library and try to cater to its users based on what books are signed out. There are currently two other Little Free Libraries located in the Town of Bel Air at residences on Gordon Street and Francis Avenue. The Commission hopes that adding another at Plumtree Park will increase awareness of their availability and make them easily recognizable throughout town. According to the Little Free Library website, “One of the most successful ways to improve the reading achievement of children in to increase their access to books, especially at home.” In Bel Air, we are particularly fortunate to have an amazing resource in the Bel Air Branch of the Harford County Public Library, but this initiative makes books accessible to our residents through a different avenue. Watch for the addition of a Little Free Library to Plumtree Park later this Spring! Photo of Little Free Library located on Francis Avenue in the Town of Bel Air.